Richard Gray, a longtime member of the WTTW and WFMT board, died Wednesday morning at his home in Chicago, surrounded by family. He was 89 years old. Gray was a celebrated art dealer, civic leader, philanthropist and friend. He helped to lead this institution for nearly 40 years. In 1963, Gray founded the Richard Gray Gallery, which has locations in Chicago and New York City, and, along with his wife Mary, has been “instrumental in the preservation of important cultural assets,” writes Landmarks Illinois, including Mies van der Rohe’s Farnsworth House and murals at Chicago Public Schools. Gray served on the board of trustees for many cultural organizations in Chicago, including the Goodman Theatre, the Newberry Library, and the Chicago Symphony Orchestra. 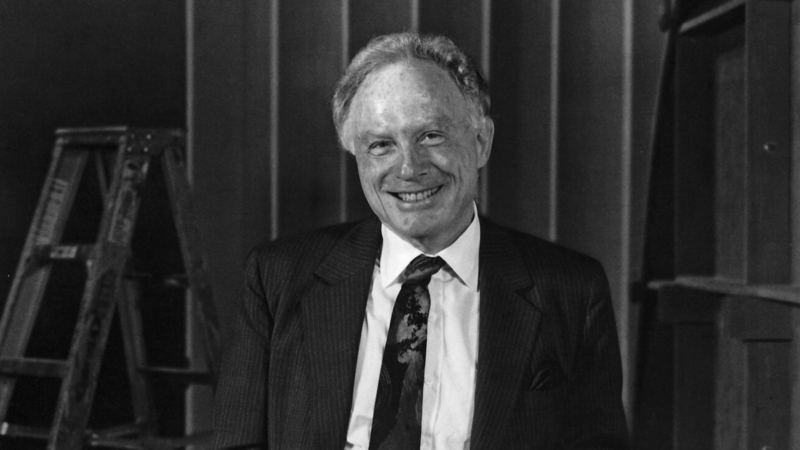 He also served on the committee of the Chicago Council on Global Affairs, as president of the Chicago Art Dealers Association (1967-1975), chairman of the David and Alfred Smart Museum of Art at the University of Chicago, and was a founding board member of the Chicago Humanities Festival. WFMT’s music library is named for Richard and Mary Gray. In 2008, the Art Institute of Chicago opened the Richard and Mary L. Gray Wing for prints and drawings with selections from its personal collection. In 2013, the University of Chicago opened the Richard and Mary L. Gray Center for Arts and Inquiry. A memorial service for Gray will be announced at a later date. Donations can be made in his honor to any of the civic, cultural and charitable organizations supported by the Gray family. A version of this story first appeared on the WFMT website.